We want to give you the opportunity to really make the most of every visit. Melanie from Freebird Farm & Homestead demonstrates how to make kombucha in the market demo tent. Market Memberships include all of this value for just $150 and provide needed support for our local farmers, makers, and bakers! Your membership fee helps us advertise, provide cooking demonstrations, and continue our Little Sprouts Market Club. Sign up early to save the most! Click here to start your membership. 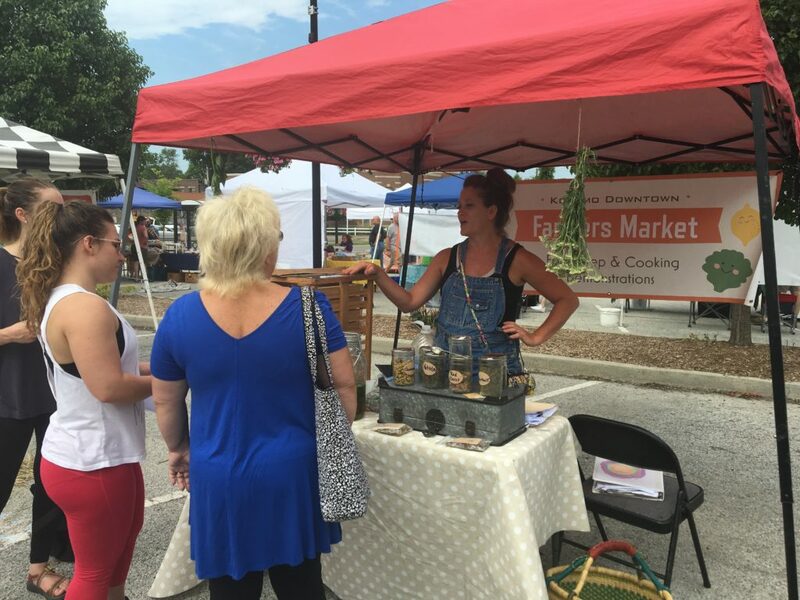 Email your questions to Market Manager Adrienne at info@kokomofarmersmarket.com.